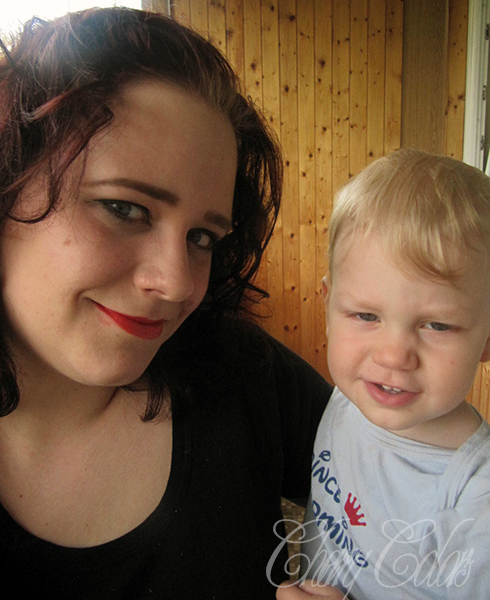 Mom Diary: 22 months old - Cherry Colors - Cosmetics Heaven! My son is two years old now, so I can finally write about the month he was 22 months old. What a fun journey it is to have a child. Oh boy, I completely forgot about this post.. Shame on me ._. First I'd like to say that that month (May) was incredibly warm, especially at the end of it. The temperatures went all the way to 30 degrees Celsius and then the rain began. It was a weird mix of cold and hot days. He is growing up so nicely! 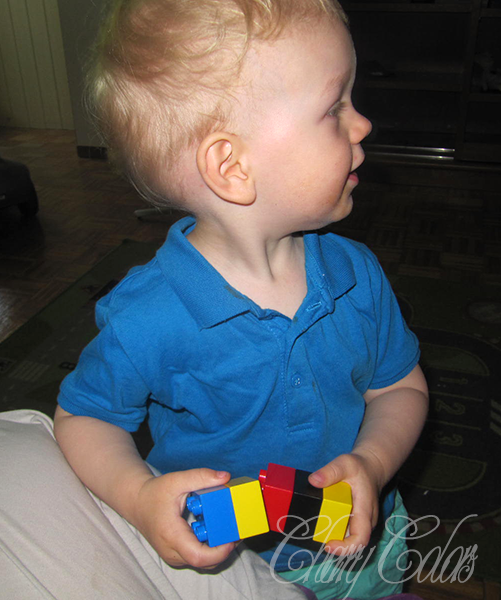 His favorite toy are currently duplo blocks. Because we didn't have a bunch of these blocks, we asked for them for his bithdays. So now that he is older he has a lot to play with ;). 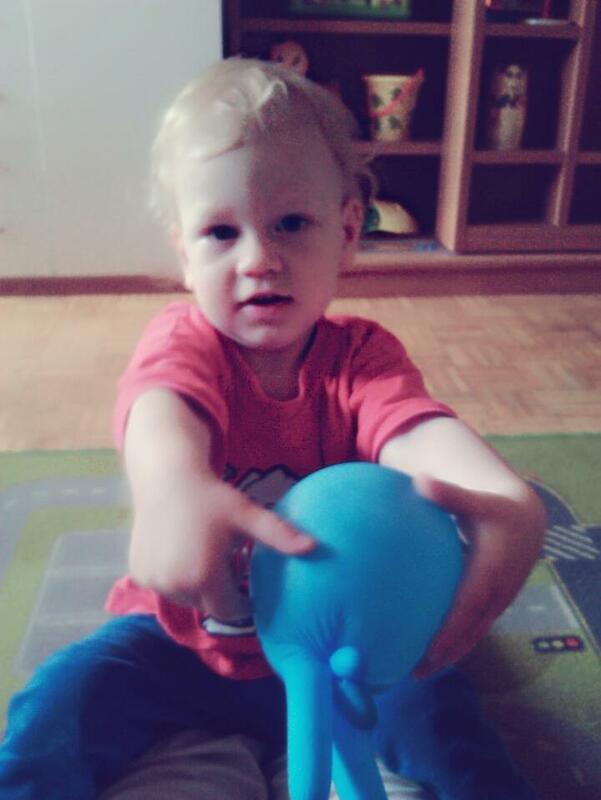 At 22 months old he could make some basic shapes with them. He also found a new love for excavator toys. They are so much fun to play in the sand with. 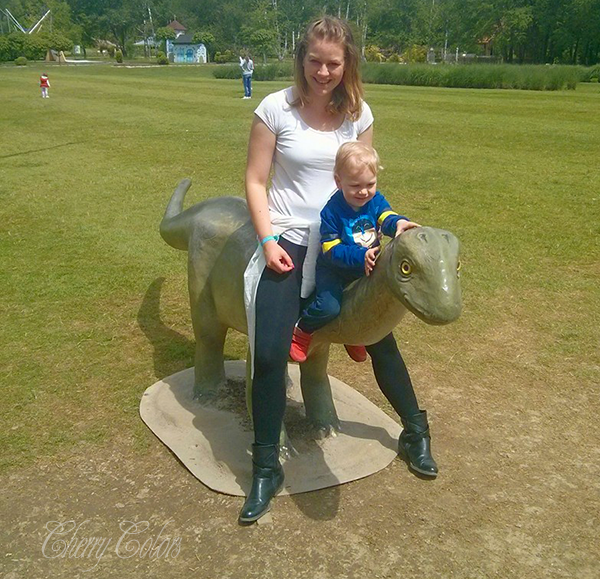 And since we went to the Arburetum he is a big fan of dinosaurs. He likes watching cartoons with them (but then he will run screaming away in the same moment he sees one). Funny little chipmunk! He learned a new trick! 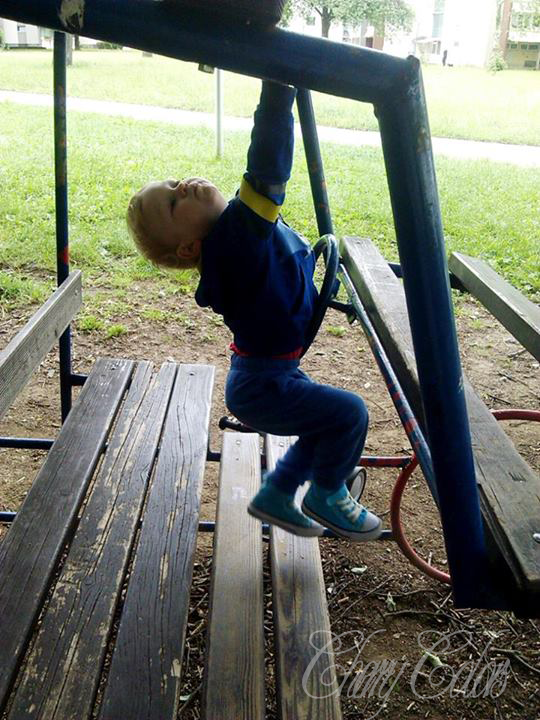 Playing a monkey.. ;). Swinging by his hands on the car play-thingie. The first time he did that I was damn excited! Something new, wohooo! :D Since he saw how happy I was, he kept repeating it, and a new game was born that day. There was also a little accident this month. We went to the playground (the part where big kids play football and there's a running track too) and I kept saying to him that he should move from the running track, because he will get a ball in his head (by the kids playing football!). And sadly that is exactly what happened less than a minute after. ._. He way lying on the floor, laughing and then baaaaam! Ball in head and he hit the concrete floor. Lucky (or unlucky?) he didn't get hurt except for his front teeth. The crying was terrible and the older kid kept apologizing..
We went to the dentist to get that teeth checked since it was a little bit more than chipped (between broken and chipped, like 3mm missing? ), so they gave him some flouride paste on the chipped part and off we went. But not before he got a bunny made from a glove ;). On a brighter side - we had a meeting with our group of girls and our kids. The girls are from our Julijke group - our kids are mostly born in the same month :). It was a fun day and the kid had a wonderful time. It was also extremely hot that day, so hot that when we went back to the car, the metallic part from the carseat was burning!! The kids got to play in the sand (this is the next best thing for kids, I see the truth now!) and we mommies took a moment off for ourselves. Because the kids were so well behaved! To end this entry I have to say that it is wonderful how understanding he is becoming. Such a joy to be around! And also, mimicking our words and trying to use them in 'conversations'. Too damn cute! Stay tuned for the next parts of the Mommy diary ;).